Nemo Outdoor is a laptop-based drive test tool for wireless networks which supports over 270 terminals and scanning receivers from various vendors and all major network technologies. A single software platform plus modularity means versatility, enabling you to tailor the drive test product precisely to your needs. Nemo Outdoor’s powerful software platform works for all wireless technologies and for different protocol and application testing options. 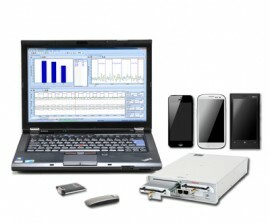 It is also the only portable measurement solution that offers multiple simultaneous data connection measurements and runs on a single laptop. 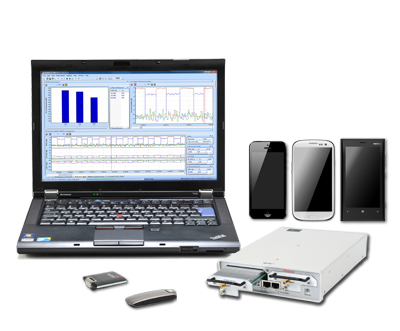 Nemo Outdoor produces measurement files from wireless network drive tests in the open ASCII Nemo File Format, enabling quick and easy troubleshooting and analysis, using Nemo Analyze or third-party post-processing tools. The product also supports mobile network testing of the next-generation voice quality technology POLQA. In addition to drive test and benchmarking measurements, the Nemo Outdoor platform is expandable to support voice and video quality measurements. Nemo Outdoor also oﬀers tools for various troubleshooting tasks. With a test terminal and/or a scanner you can perform real-time missing neighbor detection, pilot pollution analysis, and GSM interference analysis. To gain competitive advantage in today’s market, monitoring and improving customer experience is crucial. Nemo Outdoor enables the measuring of quality-of-experience (QoE) metrics for the services and applications your customers are actually using, including advanced YouTube video testing, Facebook testing, and Skype call measurements. The information provided by mobile network testing using Nemo Outdoor assists in the veriﬁcation and troubleshooting of new services reducing the time-to-market. Nemo Outdoor’s diversity is only matched with its ﬂexible user interface and ease of use. Owing to its single platform, all essential functionalities can be found in one location. Through the fully customizable user interface the user is able to tailor Nemo Outdoor for their particular use. Extremely easy to set up, conﬁgure and use. The time from receiving the product to using it ranges from a couple of minutes to less than two hours. Automated drive test measurements of wireless networks with extensive scripts and large-scale measurement lists enable you to focus on the actual task at hand during drive testing. Quality-of-experience (QoE) metrics for the services and applications your customers are actually using. User-deﬁned parameters from signaling messages can be searched and displayed in info view and graph side panel during measurement and playback. Open ASCII ﬁle format – Nemo Outdoor uses an open ﬁle format which can be directly utilized in various third-party analysis tools; no conversion or parsing needed. Support for POLQA & PESQ voice quality testing. Nemo Outdoor Multi Lite is a compact and cost-effective benchmarking solution consisting of a rugged case, Nemo Outdoor drive test software, up to six measurement devices, and built-in scanner support. Nemo Outdoor Multi Lite supports simultaneous multi-measurements for voice quality and data testing with a single laptop. Nemo Walker is a portable multi-measurement solution consisting of a compact backpack, Nemo Outdoor mobile network testing software and measurement devices. Nemo Walker is ideal for both indoor and outdoor benchmarking and multi-measurements.